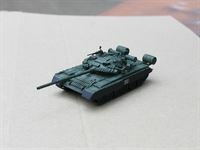 T-80UE-1, modernized version of the T-80BV. The modification is simple but effective. When the T-80UDs end of their life (Russia doesn't produces parts for its engine). their hulls are sent for scrapping, but the turrets are utilized to replace the ones on the T-80BVs. Furthermore a thermal sight is installed, making it a very competitive vehicle. 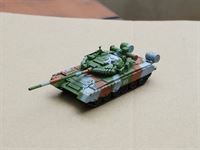 Modelcollect AS72026 T-80B tank is mainly used of plastic, we also used PE set for improve its detail. 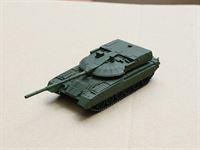 Modelcollect AS72032 T-80B tank is mainly used of plastic, we also used PE set for improve its detail.